Federal OSHA has released details on 25 significant fines (over $100,000) totaling $4,677,912 from October to December 2018. This is down significantly from the $7 million announced in the July-September period. The highest penalty in the 4th quarter was $398,545, and the top 5 fines accounted for nearly $1.7 million. Several roofing companies received fines, and common citations included fall protection, confined spaces, crush hazards and machine guards. Here are details on the top OSHA fines. Many are still pending final decisions. OSHA cited CGI Windows and Doors in Hialeah, Florida for machine guarding hazards after an employee suffered a partial finger amputation while working on an unguarded punch press. OSHA cited the company for a lack of machine guarding on several pieces of equipment; failing to implement a program to inspect mechanical power presses and correct unsafe conditions; and failing to develop specific procedures to verify the control of hazardous energy. In addition, OSHA issued citations for hearing protection, electrical hazards, machine safety and failure to record illnesses within seven calendar days. See details on the fines here. OSHA cited Insight Pipe Contracting LLC for workplace safety and health violations following an employee electrocution at a worksite in Johnstown, Pennsylvania. Two employees who attempted to assist him were hospitalized after receiving electrical shock. After a health investigation, OSHA cited the company for failing to develop and implement procedures for confined space entry; train employees on confined space hazards; conduct atmospheric testing before permitting entry into a sewer line; use a retrieval line; and complete proper permits. The Agency placed the company in its Severe Violator Enforcement Program. See more details here. Sabel Steel Service Inc. was cited for exposing employees to amputation, fall, and other hazards at four of the company’s facilities. 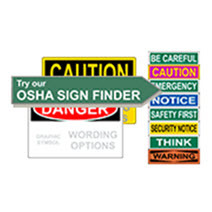 OSHA cited the company for exposing employees to amputations hazards; failing to: use safety procedures to control the release of hazardous energy during machine maintenance or servicing; provide fall protection; conduct medical evaluations to determine an employee’s ability to use a respirator; and improperly storing oxygen, propane and acetylene cylinders; and electrical and fire hazards. The inspections are part of OSHA’s National Emphasis Program on Amputations. Review citations here. Venture Metals LLC was cited for exposing employees to crushing hazards after a stack of pipes fell and crushed a worker, leading to his hospitalization. The company failed to implement measures to control lead exposure, train workers in lockout/tagout procedures, and follow confined space entry permit procedures. OSHA cited the company for similar violations in 2016. See more here. OSHA cited Northeast Framing Inc. for exposing workers to falls and other hazards following an employee’s fatal fall at an East Boston, Massachusetts, worksite in May 2018. Inspectors determined the company failed to provide adequate fall protection for employees despite repeated notifications from the project’s general contractor. The company also failed to train employees to recognize and avoid fall, ladder, electrical, and other hazards; provide adequate documentation regarding the safety of forklifts; perform regular jobsite safety inspections; notify OSHA of the employee’s work-related death; and provide injury and illness logs to OSHA in a timely manner. Get details here. $224,585 for repeat safety violations at an Austin, Texas postal facility. In addition, 17 other companies in 7 states were issued fines ranging from $100-200,000. See the top OSHA fines from July to September, 2018. See the 10 most common OSHA violations of 2018.